On January 1, 2008 I started a new blog called 1:5:10:365. On it I am posting a daily tip for becoming a better steward for our homes and planet. Today I posted an out of order tip regarding emergency alert radios. If this is true it would means that hurricanes would have a limited temperature range in which they can form. If the ocean is too cold – there isn’t enough energy. If the ocean is too hot – the energy is too extreme and leads to an atomosheric chaos too great for storms to form. If this is true – it demonstrates further that we have a lot to learn about our climate and the extremes that are being produced. I’m not a climatologist but if I am reading this correctly, this study may help explain the Atlantic hurricane respite we have experienced over the last two years. It may also help explain the increase in hurricanes and tropical storms hitting the west coast of Mexico and Southern California. 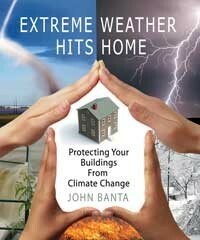 My book Extreme Weather Hits Home has lots of information about how to prepare our buildings to better withstand these uncertain times and the extreme and constantly shifting conditions . If you can’t find it at your local bookseller, ask them to order it. The flooding in the Northwest this week has prompted me to republish this information from from Heather Becker with the Chicago Conservation Center www.chicagoconservation.com. They specialize in the restoration of art and collectibles. I have seen them do some truly amazing restorations of items that I would have thought impossible. I have seen a painting that was almost completely covered with mold growth after a water damage that was cleaned and restored to a condition that looks better than before the damage occurred. This is because they don’t just remove the damage, but the years of accumulated dirt. The following by Heather was originally written in response to a question about fire damage from the California fires, but also applies to water damage as well. * Never assume an item is a loss. Soot, fire, water, and mold damages can often be recovered and conserved by a professional conservation expert. Conservators should employ non-invasive and reversible techniques and methods when ever possible. * As soon as the property can be safely entered, immediately document in situ and contact your experts/conservators. They can then advise on the process of removing all items of concern. Items should be moved as soon as possible to a controlled area off to the side where they can be kept safe from further damage. * As items are removed, they should be inventoried with a brief written notation and photographed. Numbering each item and creating an inventory will assist in the management of the recovery process. Although it is important to address the items in a timely manner, a few moments spent ensuring precise records are kept can be invaluable to the smooth handling of the claim. * During recovery, if pieces become structurally unsound be sure to retain all components where possible and keep these together. Bag and label any pieces which come loose for easy identification. * During the recovery stage, all items that can be removed should be considered for possible triage and conservation. 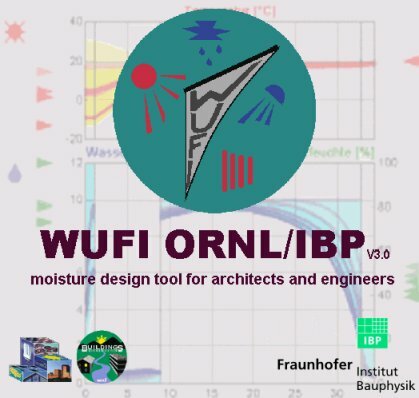 * Where necessary, items should be dried under controlled conditions, with humidity levels reduced slowly in order to avoid additional stress on the art. Art should not be dried in the sun or under direct heat and should not be exposed to rapid fluctuations in temperature or humidity. * Property should be transported as soon as possible to a conservation center for immediate triage if and when necessary. When dealing with high-end property, conservation experts or professional art handlers should assist with the arrangements to transport items in a climate controlled, air ride vehicle. Books and works of art on paper can be shipped in coolers with ice packs so that they can be kept cool and damp. * When handling wet items where the threat of mold growth is present, wear protective clothing when necessary such as tyvek suits, respirators, goggles, boots and gloves. * Wet items with mold growth should be carefully cleaned under controlled conditions to minimize dispersal of spores and halt the process of contamination. * During triage, conservators will carefully review each piece and undertake controlled drying as necessary. * Once items are stabilized, a conservator should prepare a thorough condition report of each piece and provide detailed treatment recommendations for review. This process should include consultation with the clients to determine which items are eligible for conservation and expected treatment outcomes.